--lets you know when ever we add a new page to Child Care Business. --keeps you up to date on news or other postings (like the latest safety issues or business strategies). --Sometimes I put tips, jokes, music, activities, etc in my blog! To Subscribe IS EASY--just right click on that orange RSS button at the bottom left of this page. Then "copy link" and paste the URL into your RSS reader (more instructions if you don't have a reader yet once you click). Best of all NO SPAM, just an icon that shows number of updates. OR you can click on the Google, My Yahoo, My MSN, or Bloglines buttons if you keep a personalized home page on one of these! It seems when kids leave for kindergarten, I struggle getting new kids. I've been doing this for over 3o years and my parents love me and I love them. Continue reading "getting kids for the daycare"
Hi Julie! I was looking for some sites about education to get to know more about parental involvement in the children's school life and came across yours. Continue reading "Parents and Homework"
The best kids toys to help them develop, learn, and have fun with! Continue reading "The best kids toys to help them develop, learn, and have fun with!" 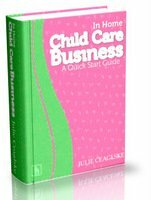 Continue reading "How do I hlp my 4 year old daughter accept the daycare children"
Continue reading "Questions to Parents"
Continue reading "General Start Up Advise"
I will share what I have learned in 32 years of a profitable, rewarding in home child care jobs, you can be a stay at home mom. Continue reading "Child care jobs, successful Home Child Care Business,"
Why Parents Need to Get and Use Eye Drops For Pink Eye When Their Child Has It! Pink eye is VERY contagious! Continue reading "Eye Drops For Pink Eye MUST be used when a child has it. WHY?"